Have Mercy! Academy Award winner Reese Witherspoon recently launched her “Southern Soundcheck” monthly playlist on her clothing and lifestyle retail website DraperJames.com. 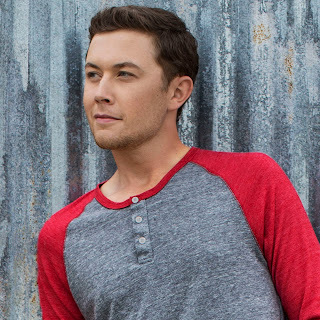 Multi-Platinum selling country music superstar Scotty McCreery and his current hit song “Southern Belle” is featured among the 12 tracks on the inaugural list, which was curated by veteran music supervisor Anastasia Brown. “Southern Belle” is the first single from McCreery’s upcoming album due out next year, and can be purchased at http://umgn.us/southernbelle. "I'm just trying to show folks, 'Look, that 16-year-old kid you saw on TV, he's grown up just like everybody else in life," McCreery told The Tennessean. "Here are the songs he's singing and what he's doing at 21 years old." “It’s definitely a little sample of what's to come,” the ACM and CMT Award winner went on to tell Sports Illustrated. “It’s a new sound from the stuff I've done before. We’re experimenting in the studio, and it’s going to be a really fun record. We're still recording. We're still out there writing. But it's going to be great." "I've written a lot more than I have in the past," McCreery shared with Country Weekly where he was featured in the magazine's Fall Fashion spread. "I'm excited to share that part of me as an artist and share the craft I've been working on." "I've taken everything I've learned for the last four or five years and tried to put it into my voice for this record and my songs that I'm writing," the singer/songwriter told Arthur Kade at Behind The Velvet Rope. "I'm really in a good spot." "Anytime we're making a record, we're trying to change it up a little bit," he told Fox News Magazine. "[We] throw the fans a little curveball. Keep 'em on their toes." The entertainer has toured throughout the summer as the Special Guest on the Rascal Flatts RIOT Tour 2015, but that ends this weekend in Irvine, Calif. on Oct. 3 and Mountain View, Calif. on Oct. 4. “I’ve learned a lot,” he told The Boot. ”I haven’t missed a Rascal Flatts show all year, unless I have to get out to get to another show, but if I’m there, I’m watching.” Recently he gave a quick glimpse of his tour bus and shared his five "must-haves" on the road with Rare Country. He will continue to do solo shows throughout the remainder of the year. Dates and ticket information can be found at ScottyMcCreery.com. "I'm a lucky and a blessed guy," McCreery told FOX News Radio. "We're just having fun out here. I get to do what I love for a living...making music."